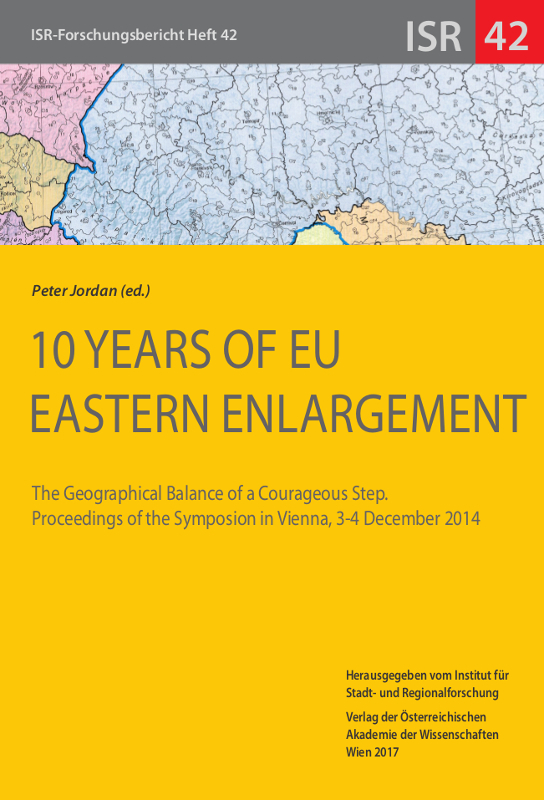 These proceedings are the result of a symposion that has been organised for three motives: The European Union’s eastern enlargement had started ten years before, and it was interesting to look at its effects from a geographical perspective. ‘Geographical perspective’ was conceived as looking especially into fields like regional development, regional disparities, urban development, inter-cultural contact, migration and integration as well as geopolitical aspects. A second motive was the completion of the Atlas of Eastern and Southeastern Europe, a long-term project from 1989 to 2014. Finally, the official retirement of its editor as a civil officer of the Austrian government gave good reason to convene all these, with whom he had cooperated quite a span of his lifetime and to whom he wished to express his sincere thanks for all their kindness and fine cooperation.